Saturn Films (1969) slide scanning service, negative photo and cine digitising– was established July 21st 1969. It was established by two young lads with an avid interest in photography and filming. David remembers “July 21st 1969 Alan and I were watching the moon walk early in the morning at Barclay School in Stevenage. The ‘Don’ set up a video player for us so that we could watch the recordings. We were talking about our ambitions and the moon landings were inspirational. We decided we would go into filming and photography. Initially the business name was Saturn Five Films, inspired by the mighty Saturn V rocket motors which lifted the spacecraft for the moon landings. That lasted about a day, as I remember Alan did not like that so Saturn Films (1969) it became. We began with short films on standard 8 and super 8, and 16mm. Our first sponsored movie was a film of the 1973 Rye House go-karting nationals. This was for the ‘Barclay School, Stevenage, Karting Team’. Our Chemistry teacher, James (Jim) Hardy, paid us to make a six minute standard 8 short – it was pretty good! I still have the super 8 film I made at the same time. Several short films followed including animated shorts. Over time we gathered a vast quantity of 35mm slides and photographs plus thousands of feet of movies. In 1984 we moved into Beta movie. Betamax was a superb system, the colour was good and the cassette was a handy size. As history tells however it was VHS that dominated the home video world and in 1988 we upgraded to include VHS. Later developments included s-vhs, vhs-c, Hi-8 then digital-8. Our first digital ‘capture’ card was the Matrox Rainbow Runner (I still have it in a Pentium PC). Today we continue to use Matrox equipment but with the recent dissappointing performance of Matrox on the software support front we are considering other hardware and software combinations. In 1997 we started transferring negatives, photos and slide images to digital. We were impressed with our results using simple scanners. We tried using flatbed initially but these were disappointing so we used dedicated slide and negative scanners – we were blown away! As time went by we invested in better quality equipment. In 2002 video digitising and 35mm slide, negative and photo digitising became our focus (no pun intended). Our slide scanning service became our main business closely followed by the negative and photo scanning and the video conversions. 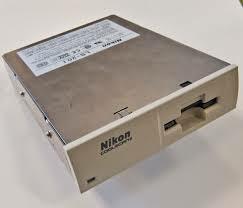 An original Nikon Coolscan slide scanner. Oh – those were the days! Alan and I remain the best of friends though our lives have taken us in different directions with different businesses. Saturn Films 1969 now offers high quality slide scanning service with scanning of photographs, slides, colour and black and white negatives. We convert super 8mm and standard 8mm cine film to CD, DVD, Blu-ray and to memory cards. Also we convert VHS, Hi-8 and Digital 8 with editing and transfer to DVD and MP4. Our scanning capabilities have recently been upgraded with new equipment and software. A significant improvement has been the introduction of advanced artefact reduction for silver based film. We pride ourselves on our professional service providing high quality images at competitive prices to professionals, clubs, historical societies, amateurs and to the general public. Our aim is to digitally preserve historical film and images in a way that they can be protected, shared and appreciated now and in the future. Saturn Films 1969 is based in the Neath Valley in South Wales. We rely largely on recommendation for our work but keep a minimal advertised presence too. One of my customers told me recently that he chose us for his scanning project because we demonstrated a care and attention that other companys could not provide. Our service is geared toward the client and delivering a personal service that you will be happy with we can be proud of. We have maintained low overheads and are able provide you with excellent quality scans and prints at low prices. Our slide scanning service, negative and photo digitising, video and cine transfer services are constantly reviewed. The market is changing and we keep an eye on the market for technical updates and upgrades. You are always welcome to visit us at our workshop to discuss and drop off your project – and if you or your family or friends have an interest in knitting or cross stitching then please come along to browse in our associated shop Neath Valley Wools and Cross stitch. As many of our customers know Saturn Films 1969 do not do remarketing or data capture save for getting your e-mail address to let you know we have received your project, how we are getting on, your bill, and final communications. We occasionally use Google Adwords to advertise and they have their own GDPR compliance policy. When you perform a bank transfer it is with your bank and we do not capture any data, save for the date, who it is from and the sum transferred to us. We do keep your e-mail address on record, this is on Google Mail and archived on our secure backup drives. Also we endeavour to keep copies of your project while we can so that you can always request a copy (we do charge for provision of copies when we can provide them – we cannot guarantee that this service will be available though). Returning customers benefit from a loyalty discount and we use the information is this context. If you wish us to delete any personal data we hold about you, (this includes: Name, address and e-mail address) we will gladly do so. We do need to keep a written record of transactions for HMRC purposes. We do have a Facebook page which you are welcome to like and follow but please be aware that Facebook have their own GDPR compliance policies. As for Trust pilot and other feedback platforms we are sceptical about the ‘True’ feedback, we have seen sites where the feedback appears to be too good to be true – so we do not use them. We have our own feedback page which is occasionally updated with genuine customer comments – we do not obsess on these, most of our work is from returning customers and customer referals a fact we are very proud of. At Saturn Films (1969) we offer an extensive digital transfer service and consider ourselves among the top 10 providers in this country for quality of the final image and at the lower end of the price spectrum too. We scan slides, photographs and negatives, we copy VHS, VHS-C, Betamax, Hi-8, Digital 8 video, standard 8mm and super 8mm cine film movie, Vinyl records, reel to reel tape and audio cassettes with transfer to DVD, CD, Blu-ray disc, memory stick or portable hard drive for you to view and listen to on your TV and computer. We maintain a simplified charging structure so that you know what the digital processing will cost. The only variable is postage, postage of the digital products is included but the return of the original material is charged for at the insured and tracked postal rate. Prices are subject to change without notice but we will hold a quotation for up to two months for you. APS scanned at up to 3200 dpi, medium formats 1200 dpi as standard but higher by request. Each image with dust and scratch reduction and colour correction. All images are individually reviewed, cropped and colour adjusted, we us digital ICE, as standard, and other high quality software. All images saved as Jpeg to DVD (a DVD copy is included) or to usb. We can produce prints of your images and these are individually priced bespoke orders. Contact us with the size of print and numbers and we will happily provide a quotation. If you choose to have your images returned on dvd we include a disc copy so that you have a backup should it be required. We will scan your slides, photos and negatives and invoice you for the payment on completion of the project. We transfer VHS, VHS-C, SVHS, betamax, Hi-8 and digital-8 video formats. They are saved to usb or DVD disc plus a backup DVD disc or to other appropriate digital media. For larger orders of over 20 video tapes we include an external hard drive in the package (though you are welcome to provide one for smaller orders if you wish or I can purchase one for you). For additional copies of your project DVD add £5 per disc (remember 1 backup DVD is already included). For slide show discs with or without copyright free music add £10.00 per disc. For a slide show with the music of your choice send a CD containing the music together with your order and £10.00 for each slide show disc ordered. Return postage for all items is included in the final invoice. Postage will be for your photographic material in secure packaging and by a tracked and insured service. Obviously the package size and weight is a factor but wherever practicable we deliver by guaranteed next day delivery, if not by first class recorded or Royal Mail Parcelforce. If you wish to collect your materials thats absolutly fine (and we love to meet clients and chat over a coffee). We do not bill you until the project is completed (unless this is a massive project being paid for in instalments). We accept payment by bank transfer ideally but can take a cheque if you do not mind waiting for it to clear! This service is provided to individuals, businesses or clubs and societies following a discussion of your requirements. We can scan at up to 9600 dpi providing 24, 48 and 64 bit TIFF, RAW, BMP etc. 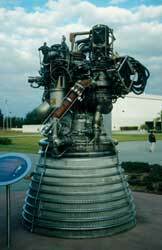 images of up to 350mb. We have successfully provided images for TV and for billboards over the years. Please contact us if you wish to use this service. Please contact us with your requirements for us to provide a competitive quotation. For video projects we can perform limited video upscaling and each project will be considered individually. The amount of editing required for the project – some slides suffer more than others with colour deterioration and with mould contamination. The urgency of the order. We can provide lower prices for very large orders when the timescale is relaxed – If we have to drop everything to do your order we may have to add a little to the quotation. Professional level scanning editing large TIFF files. These files take more time to load and edit and consequently increase production charges and the time take for completion. We pride ourselves on our friendly, professional service providing high quality digital transfer and editing at competitive prices. We are always prepared to discuss your slide scanning, photo, cine, video or audio project with you either on-line or by phone. We respect our serious competitors and will price match where the quality of the service and final product is comparable. There are a lot of people out there providing a digitising service but few I would recommend! – the museum is open for public visitors throughout the summer.